Thoughts of buying a new home can be very exciting! Not having to worry about getting a landlord’s approval to paint the walls and knowing that you’re investing in something that will be 100% yours are just a few things that might be creating ecstatic feelings for you. Homeownership is by far one of the most rewarding things in life. But, like all good things in life, time, work and patience are definitely required to reach the end goal. If you’re purchasing a new home for the first time, we wanted to provide some helpful advice to point you in the right direction, in hopes of alleviating stress and frustration. When the topic of financing comes up, typically it floods the mind with feelings of being overwhelmed and an endless number of questions. What type of mortgage is the best for me? This is completely normal. There are a lot of moving bits and pieces that come into play when dealing with financing a home. We definitely recommend finding a reputable mortgage professional, as he / she will able to guide you in the right direction. In the meantime, here are a few tips. Pay down debt. Part of the mortgage qualification process is rooted in debt to income ratio. The less debt you have, the better off you’ll be. Lenders typically want to see a total debt service ratio that is less than 40 percent of your monthly income. Think about HOA and other often forgotten fees. Depending on the community you plan to build or buy in, there may be fees completely outside of your mortgage payment. Take these into account to ensure you aren’t signing up for more than you can handle. Talk to friends and family you’ve recently secured a mortgage. Hearing from them about their first-hand experiences can be extremely beneficial and can help you avoid challenges that they may have encountered. 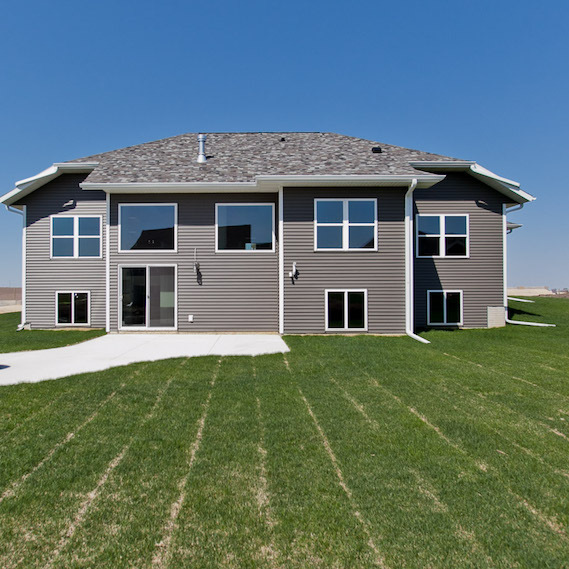 Of course, we’re a bit biased on this one 🙂 But, we definitely encourage you to do your research on custom home builders in Marion, Cedar Rapids, and Iowa City Corridor. Request references. Don’t just take the builders word for it. Ask for recent references and reach out to those folks. PS — We are more than happy to supply you with references from thrilled clients we’ve recently built homes for! Ask around town. Chances are the builder you’re looking at using has worked with others in your community. Ask friends, family and co-workers about recent experiences. Do your research online. Look for online reviews and spend time on the builder’s website to get an idea about the types of projects they manage and also more about their process and mission statement to clients. We hope that these tips help you in being able to build your custom Iowa City Corridor dream home! Of course, please contact us if you are interested in learning more about our company and how we can assist you. We look forward to hearing from you soon!